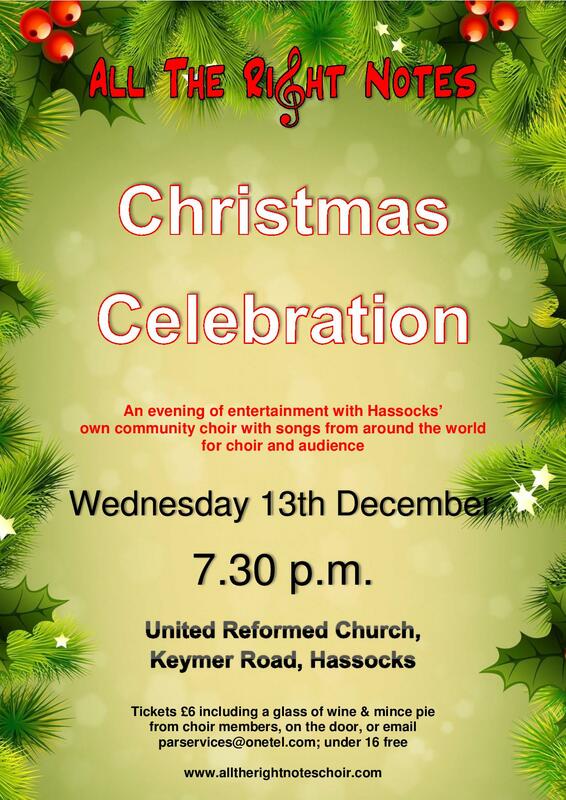 All the Right Notes’ Christmas Celebration will be held at the United Reformed Church in Hassocks on Wednesday December 12. There’ll be songs for choir and audience – including our own take on The 12 Days of Christmas – as well as pieces sung just by the choir. Join us for our Christmas Celebration! 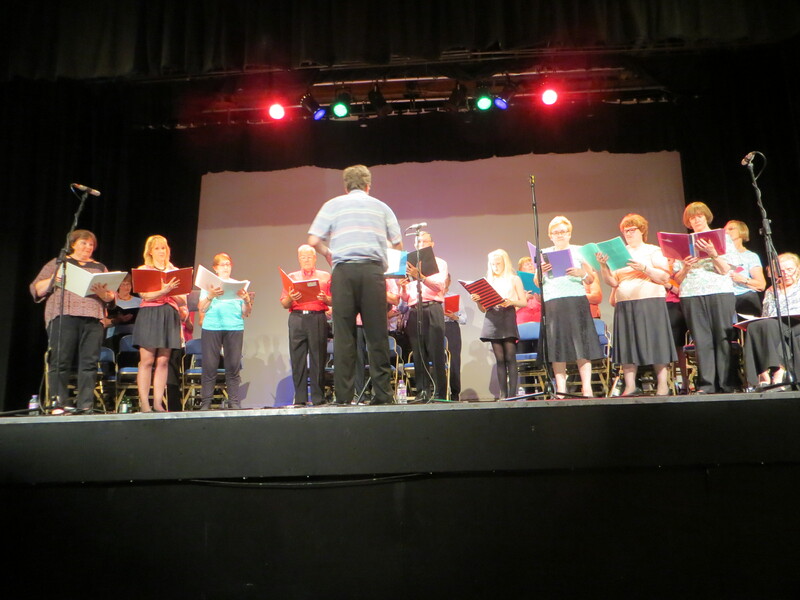 A mixture of old and new songs including a chance for the audience to sing along! Author PSPosted on November 24, 2017 November 24, 2017 Leave a comment on Join us for our Christmas Celebration! All the Right Notes is on the move to a new home. 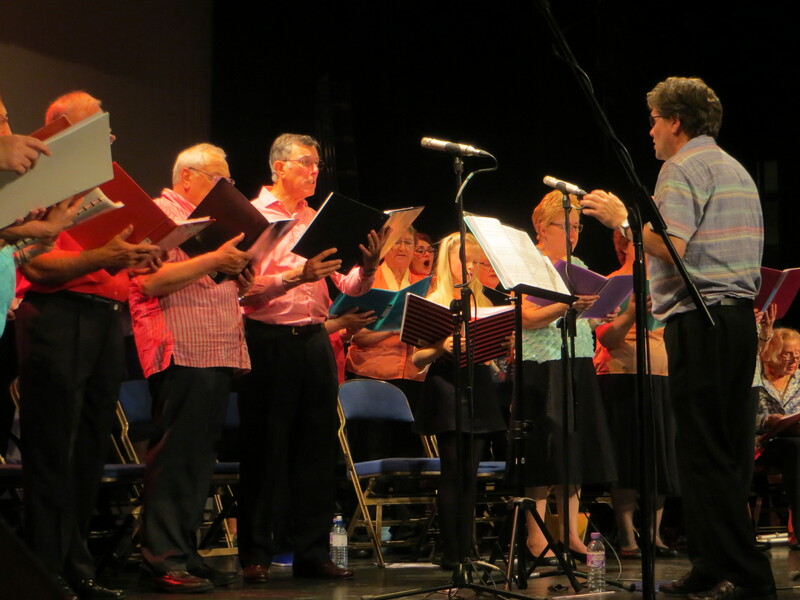 From our first rehearsal in September 2017, we will be at St Francis Church Hall, in Priory Road, Hassocks, every Wednesday from 8 p.m. to 9.30 p.m.
All very welcome – our membership ranges from 10 to 90+ in age. Some people have sung for years, others are coming to it completely fresh! Come along for a free taster session, and then there’s a four-practice (roughly four-weekly) subscription (currently £20; £15 for concessions) rather than asking you to commit to a whole term in advance! For more details email parservices@onetel.com or just come along. 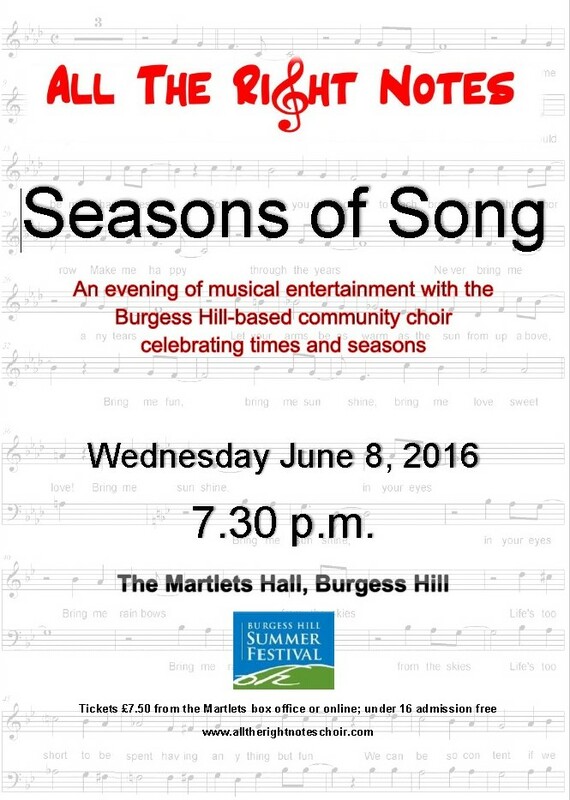 We’re getting ready now for the Summer 2016 concert at the Martlets Hall on June 8th which will include music from the 13th to the 21st centuries all on the theme of times and seasons. Tickets will be on sale from the Martlets Box Office shortly, price £7.50. 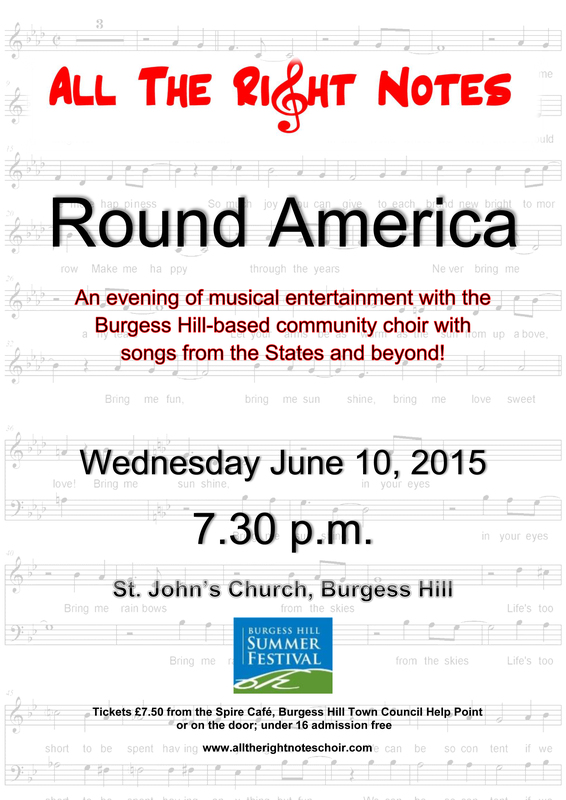 Our next concert is imminent – All the Right Notes Round America will be performed at St John’s Church, Lower Church Road, Burgess Hill on Wednesday June 10 at 7.30 p.m. The songs have an American-based theme, including excerpts from Jersey Boys. Tickets are £7.50 for adults, children under 16 free (and don’t need a ticket). 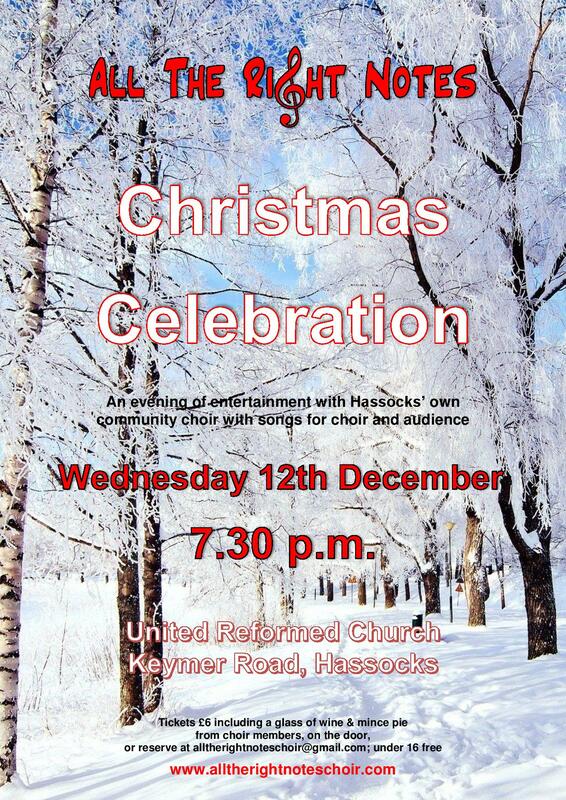 They can be bought via members of the choir, from the Spire Cafe at St John’s, or from the Help Point in Burgess Hill. Following the very successful concert held on December 10th at St Edward the Confessor in Burgess Hill, as well as the singing events at Light Up Hassocks on November 28th and at B&Q on December 6th, All the Right Notes is now on holiday until Wednesday January 7th, 2015. Photos from the events can be seen here – it’s being updated as I receive more pictures, so do please send them along! The first practice will be at St Edward’s at 7.45 on January 7th, and all are very welcome to come along for a taster session. 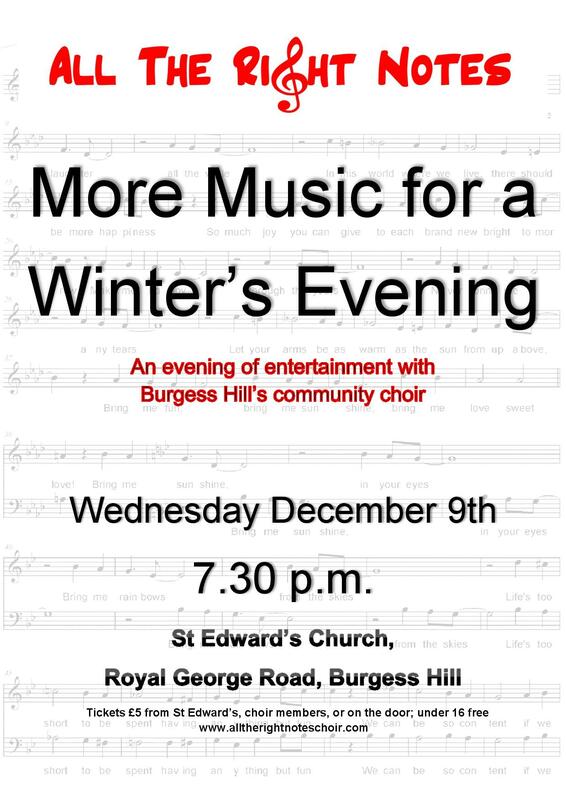 We will be starting work on a number of new pieces that evening and any choir members who want to suggest items we can do, please get in touch over the Christmas holidays. For more details, email Paul Simpson at parservices@onetel.com or call 07808 922715. Author PSPosted on December 11, 2014 December 11, 2014 Leave a comment on Into 2015!